Sean Szymkowski April 2, 2019 Comment Now! Hyundai is ready to change the way drivers operate various features inside its cars. To give us a taste of how it will look, the South Korean brand shared images of its next-generation cockpit prototype. To underscore that this technology won't be reserved for only the most-expensive cars, Hyundai based the prototype on the current i30 hatchback, or what Americans know as the Elantra GT hatchback. The goal is to reduce the number of buttons and create a clean and simple control interface. Front and center is a two-spoke steering wheel with large touchpads on the right and left. 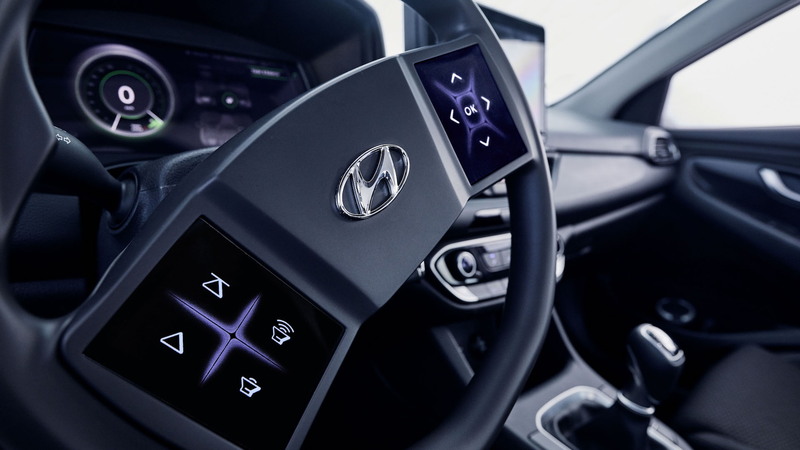 These replace the buttons and switches we're accustomed to on many steering wheels, but Hyundai said it's been developing the touchpads since 2016. The company said studies and clinics have shown that drivers respond well to the steering wheel-mounted touchpads. Each touchpad is split into four sectors. Up to five of the icons can be configured any way the driver likes, and the information on the steering wheel changes based on the information displayed in the instrument cluster and the driving situation. Underlying technology also provides consistent haptic feedback for the driver when he or she makes a selection on the screen. Haptic feedback has been a sore spot in modern cars with many automakers reverting back to physical knobs and buttons to ensure precise actions. The second major change in the prototype cabin is the gauge cluster. 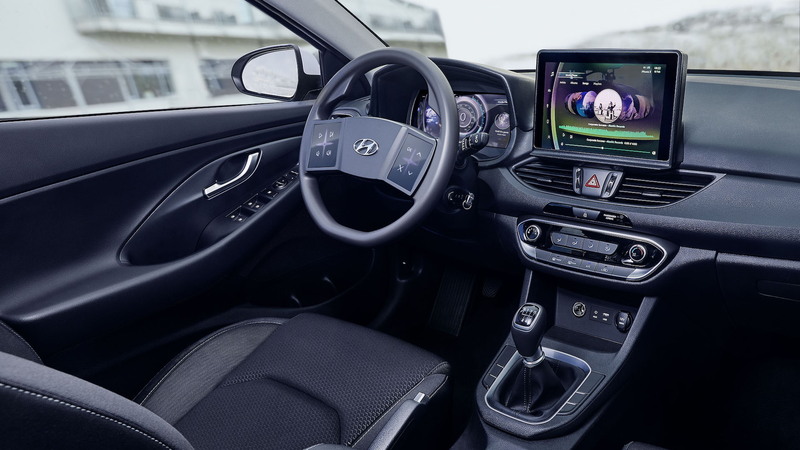 Hyundai's luxury brand, Genesis, previewed a 3D gauge cluster last year that may arrive in the U.S. in 2020, but this prototype features a multi-layer display in an affordable car. The multi-layer display technology has two displays that are stacked behind one another. One part of a certain graphic is shown on the front display, while another part is produced on the rear display, which sits about a quarter inch behind the front display. The clever trick makes graphics, in the case the digital speed reading, appear three-dimensional. Hyundai said the 3D look helps reduce distraction as it's much easier to see than a traditional 2D screen. Of course, a massive center touchscreen is also present. 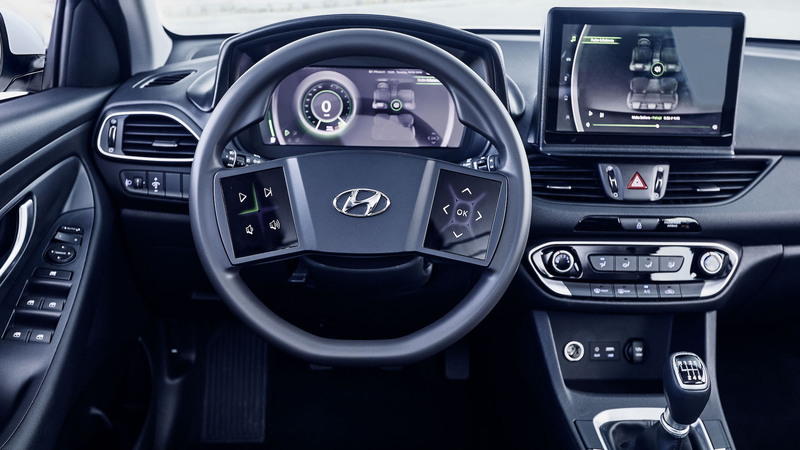 Hyundai only said it improved the haptic feedback of the rather large center screen, but it seems inevitable that displays will continue to grow larger as we receive more information in the cockpit from the car and its surroundings. The brand did caution that this is an early prototype and in no way reflects a final design. However, these are the kinds of technologies we can expect from Hyundai in the next decade. In the meantime, the company plans to continue holding distracted driving clinics to test its new technology and gather feedback for future development.